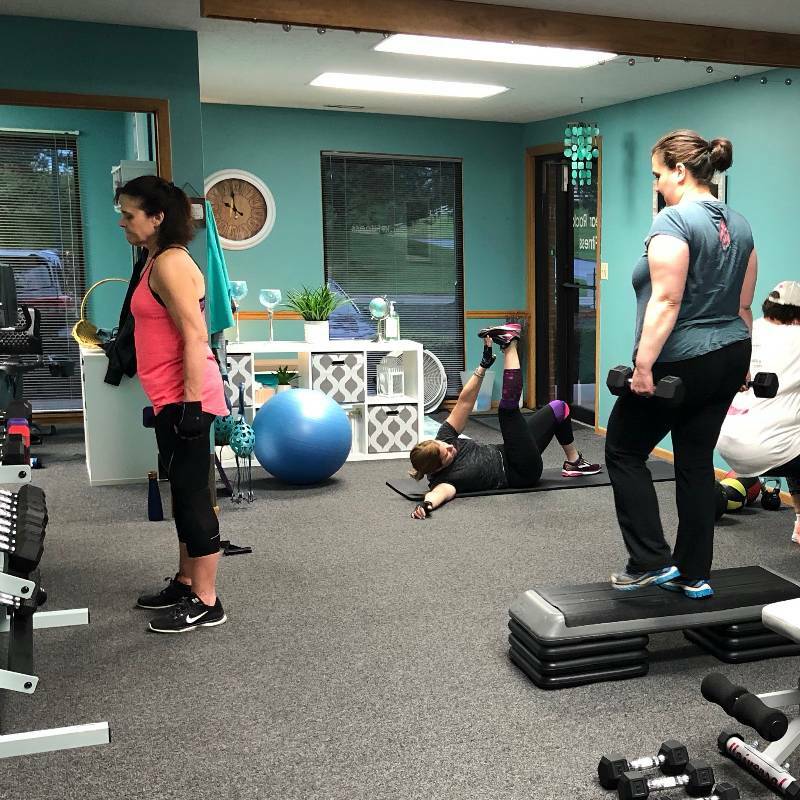 Kim is an athlete who became inspired to get her personal training certification so that she could help others achieve their health and fitness goals. 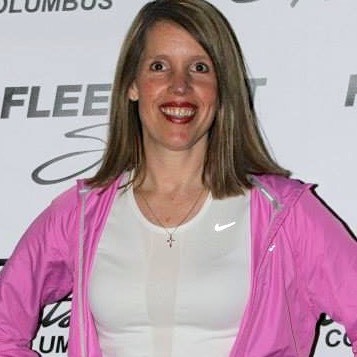 From gymnastics as a child to becoming a runner after the birth of her second child, physical fitness has always played an important role in Kim’s life. Although there may have been times when fitness was briefly put on the back burner, it has always ended up back on top. 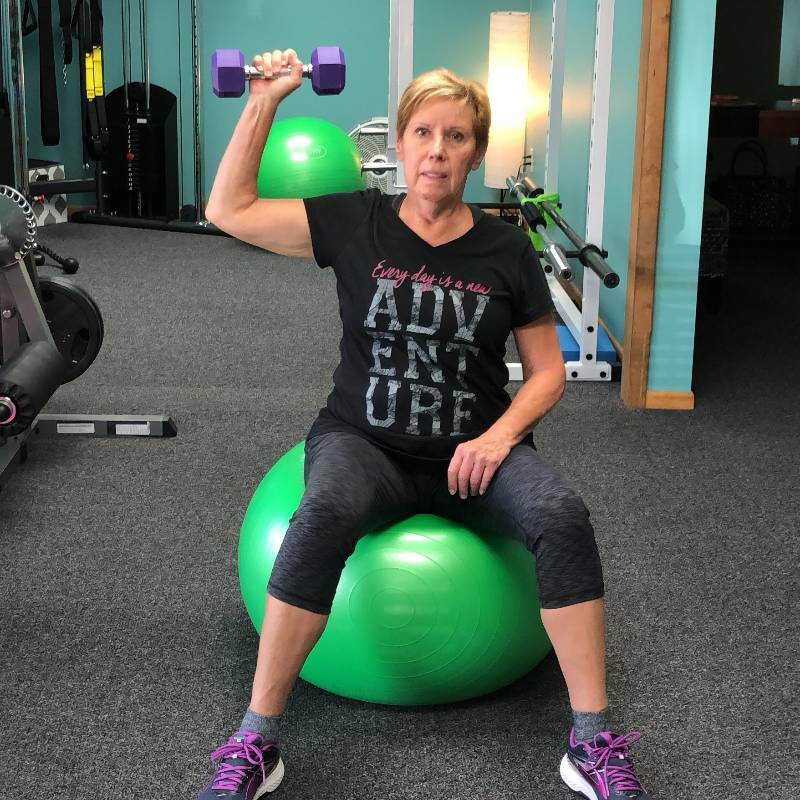 Kim has learned as she has grown that fitness is not just important to help maintain a healthy weight, but also to help strengthen bones and keep the heart healthy. Now she has taken that passion and used it to earn her certification in personal training to help others. Kim always comes up with different workouts that are fun and challenging! 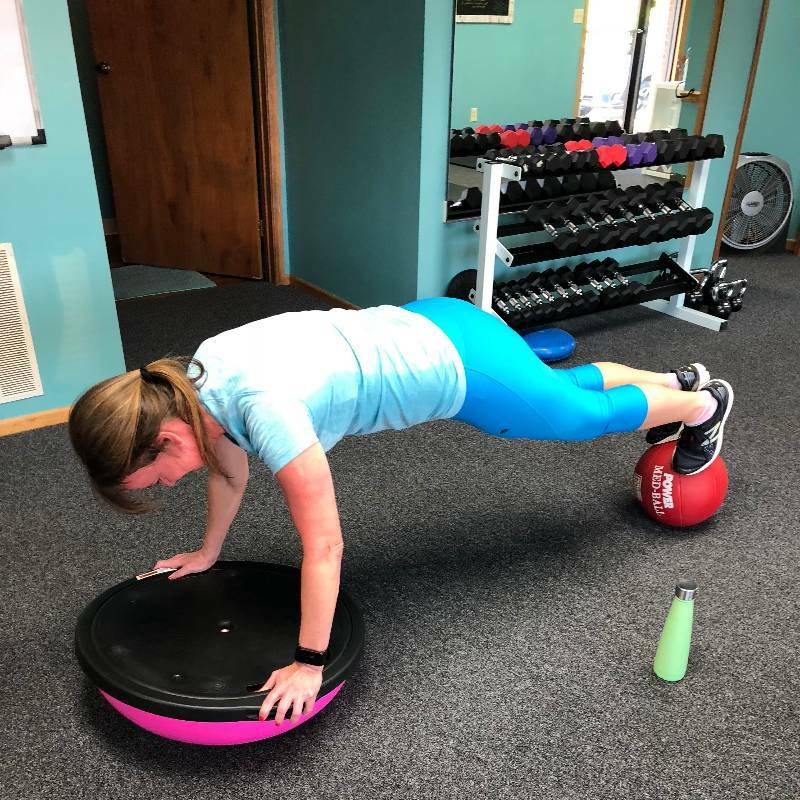 She listens to her clients and pays attention to their capabilities so that the workouts are a stretch, but never pushes you to do anything causing you pain. She is organized and upbeat and always has a smile on her face! Kim is a great trainer. She pushes me to accomplish things I never imagined I could do while building me up. I can definitely tell a difference in my overall strength and balance. I would recommend Kim to anyone looking for a trainer. Who says they look forward to weight lifting or core work? If Kim's your trainer, it's fun!! She keeps workouts challenging, different to keep you interested. She's engaged and fun during your workout. The studio is inviting as well. There's a personal touch as well...caring beyond your workout, vested in you as a person. Highly recommend!!! I’ve been training with Kim for several years. I have found her to be very diligent in developing workouts that meet my specific needs while taking into account my limitations. And she somehow manages to make it fun! Kim is always positive, encouraging, and supportive of my efforts. If/when I have injuries or limitations, she’s an expert at tailoring my training to those needs - and has more than once been instrumental in helping my recovery. She is truly invested in my fitness journey. Kim is an energetic, friendly non-judgmental help to your exercise regimen regardless of your size or fitness level. Please join us! I highly recommend you give it a try. You will not regret making fitness a priority. 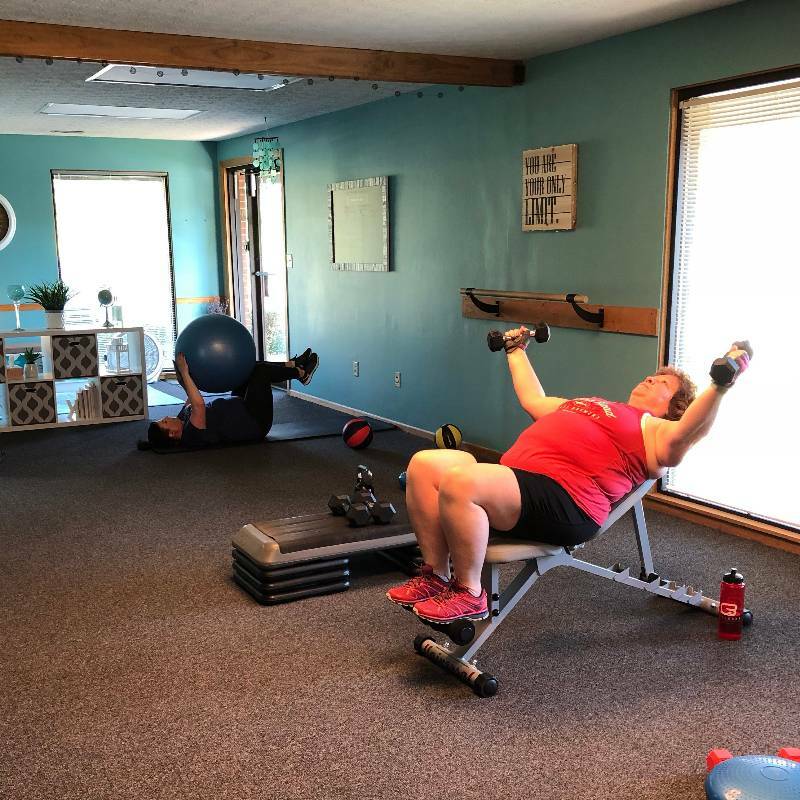 I’ve been working with Kim in her shared group training for a few months this spring and can tell you she’s really become a supportive and appreciated partner in my health journey. Kim is very knowledgeable, highly motivating, upbeat, and is excellent at customizing my workouts to make them challenging yet attainable. Finding a small group of like minded women with a trainer like Kim has been the key for me to finally get consistent in my workout and the added bonus is we have fun! If getting fit and healthy is your goal and you want changes that will last for life, Kim is your trainer. She takes special care to design programs that are individualized to your needs, abilities and goals. She also takes an educational approach in her training so that you know how to use a gym if you find yourself in one without her. She is the real deal and will make you feel like family in her wonderful studio. Kim is a great personal trainer! I especially like how she tailors the training to my current abilities and the areas I want to target. But she also doesn't cut me any slack! She encourages me to treat myself with kindness, but she also pushes me to honor myself by keeping my commitment to my health. My mindset has completely changed from one where I HAD to workout to one where I GET to workout. It no longer feels like a chore, and I am getting stronger every day. I have been working with Kim for several years both in person and online. She has been so helpful to me by holding me accountable while still always being positive and encouraging. Even with members of her small groups she individually tailors workouts as needed and takes into account health issues as well as life events. She is easily accessible and responds to questions and concerns in a timely manner. Kim really cares about those she works with and has become not just a trainer but a friend to many. 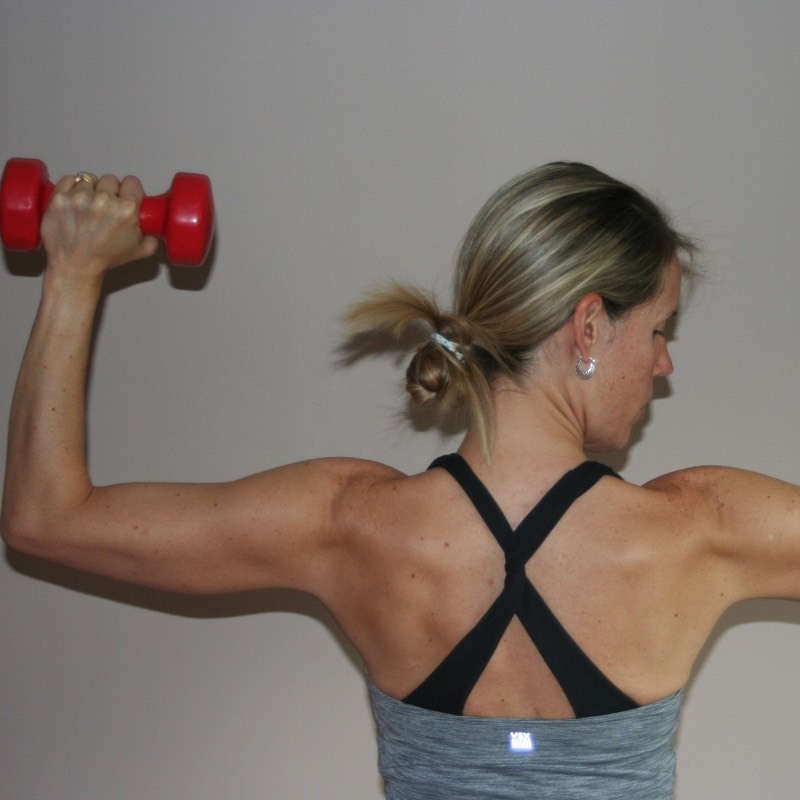 I have been seeing Kim for a couple of years for strength training and have greatly improved with her. Kim is great about suggesting modifications for injuries or arthritis in a way that still helps build the muscles and improve overall health. She is always coming up with new routines to keep the workouts challenging and knows when & how to encourage and push the clients for results. She is also so personable, easy to talk to, and I always have a great laugh with her. The workouts are fun and it keeps me coming back. She's the best! I've found that female doctors typically 'get it' in terms of medical care for women better than men do. Likewise, this woman (Kim) 'gets it' for personal training of women. Kim is wonderful! She's upbeat! She's positive! She's perky! And she knows what she's doing. I've been working with Kim for 3 years now and it is working very nicely. She really understands how to train women. She knows the moves to do and the moves to avoid. I've not been able to find someone with that knowledge. One thing I have learned from her is how important form is. I still hear her say "keep your shoulders down" on a couple of exercises. Working out with Kim is great. You work hard and you feel great afterwards. Isn't that what it's all about? So, what are you waiting for? Get on it! I have been training with Kim for about a year now and have found her to be knowledgeable with a large stock of adaptations or workarounds if needed. She keeps the classes interesting and moving. I have enjoyed working with her very much. As a long-time runner, I'm definitely familiar with the concept of foam-rolling, but also knew that done improperly could lead to some unwanted issues. Other than foam-rolling my quads and IT band, I felt like I really didn't know how to use this valuable piece of equipment. Enter Kim Bouldin. Kim is a warm, personable, relatable, and funny--so easy to talk to and work with that time with her flies. Kim is also knowledgeable in her field and is quick to share her knowledge and personal experience, which is so helpful when learning a new skill. 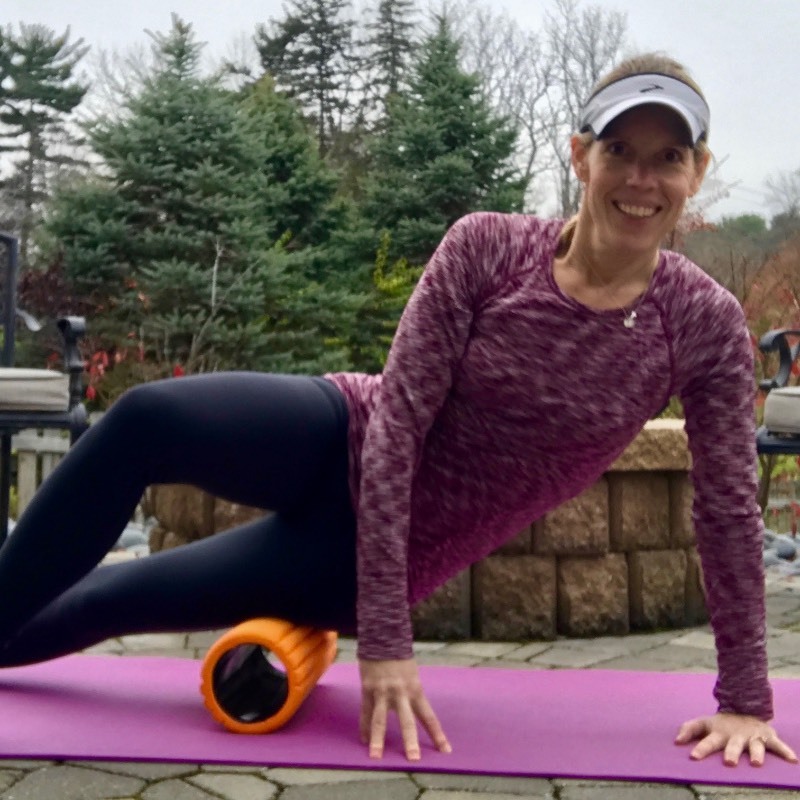 Kim was able to explain what the purpose of using a foam roller, what muscles I was targeting, what to do, what to avoid, and was right there rolling away with me. It was nice to be able to ask questions on technique and watch her so I knew I was doing it correctly. I loved that she communicated with me throughout the process and followed up with how I felt afterwards and how the rolling went in-between sessions. I felt this has helped me with more than just running and is something I can easily incorporate into my routine now. You will feel completely at ease with her --her specialized approach to women over 40 is something about which she feels passionate and it shows! Training here is so much more about “showing up” with a group of wonderful and supportive women lead by a knowledgeable, kind and encouraging fierce woman. Kim has helped me keep a promise I made to my daughters... to take better care of myself. She is helping me achieve this by personalizing a workout with my fitness goals in mind. Kim's knowledge of human physiology coupled with an intuitive, creative spirit makes her the ideal fitness professional! I love my Tuesday mornings with Kim and our small group. Kim is a very knowledgeable trainer that cares about my goals, my form, and my needs. She truly cares for her clients and wants to see us live healthy lifestyles, while reaching our goals. Each week I continue to learn more and am continually challenged since it's a different workout each time. I highly recommend her training sessions. Kim has been more than instrumental in restoring my self worth. I was invited. To visit Kim by a dear friend. I knew there was something wonderful going on, since my friend looked, acted, and walked like a lovely young woman. Filled with doubt, arthritis, joint pain, and zero strength I met with Kim. That was only seven months ago. I am actually proud of myself that I am able to move, walk, and do things I have not been able to do in years. Gentle, firm, friendly and funny... That's how I'd describe Kim. I love her. Kim is an awesome trainer! Very encouraging and supportive and extremely knowledgeable about helping people achieve their goals. The training is in a nonthreatening environment, which has allowed me to feel completely comfortable with my training process. I would highly recommend Kim for both new comers in the training process as well as experienced athletes. Kim has something to offer everyone! Kim is an awesome trainer! I worked with her in-person for about a year. After I moved to a different city, I looked for a new trainer, but the ones I found were not in tune with mature women. They were revving my heart rate up too high and the workouts were making me hurt in a bad way. I was really bummed. About that time, Kim started her online training and I jumped on it! Because Kim 'gets it.' She knows what she's doing! The little videos of each of the exercises are great for demonstrating and Kim gives tips about how to make sure your form is right. I am so thankful for Kim and her training! I feel good everyday because I'm moving the right way. Kim knows how to relate to the client. She readjusts the workout according to my weaknesses & what I want. She will keep you moving when resting certain muscles, which makes a more effective workout. She’s very knowledgeable which is what I need. I have had bilateral knee replacements, bilateral rotator cuff surgeries & a recent hip replacement. She has shown me a better way to exercise so that I can continue to move.